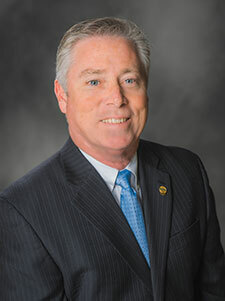 Bill Conine has been named interim president and chief executive officer (CEO) of Arkansas Electric Cooperative Corporation (AECC) and Arkansas Electric Cooperatives, Inc. (AECI). He replaces Duane Highley, who recently accepted the position of CEO of Tri-State Generation and Transmission Cooperative in Westminster, Colorado. Conine previously served as the CEO of Petit Jean Electric Cooperative in Clinton. The boards of directors of AECC and AECI have launched a nationwide search for the next president and chief executive officer. The Electric Cooperatives of Arkansas comprise 17 electric distribution cooperatives; AECI, a Little Rock-based cooperative that provides services to the distribution cooperatives; and AECC, a generation and transmission cooperative. The distribution cooperatives provide electricity to approximately 500,000 homes, farms and businesses in Arkansas and surrounding states.